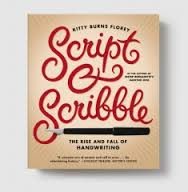 I’m the “handwrlting doctor” with whom Ms. Florey consulted (as you can check for yourself, in the relevant pages of SCRIPT AND SCRIBBLE) — so I’ll be happy to work with you and/or your children. Perhaps it’ll help further if you let your kids know that I did not write decipherable or quickly (let alone attractively) till I was 24. The story is told in full on the “about Kate Gladstone” page of my site. Maybe you can reach me (my contact-info is on my site) — if you like, I can also let you know how to reach Ms. Florey, whose own work on handwriting plainly means so much to you. I’m so glad you found this post, Kate. I think it’s wonderful what you do. What a calling! Thanks for the information. 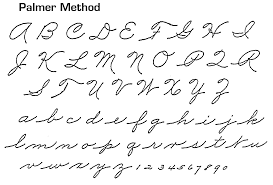 I am so crushed that kids these days aren’t learning cursive anymore. It does make sense, but it bums me out. 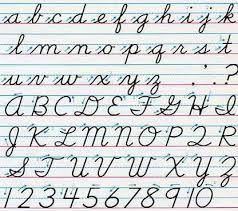 I love writing things in cursive, and I’d have been happy to have been taught that same elegant cursive that all our grandparents learned. My handwriting could be better. It’s always astonishing to me to see exercise books from, say, the 1930s or 1940s and to realize how stringent were the rules about cursive. In a tiny local museum, there’s a school project on a (now) vanished community and every time I look at it (which is quite often as the museum is a place to which we take our houseguests), I think of both the beauty of the handwriting in the small preserved scribbler as well as the excellent grammar of the child who compiled the history of her home.